With summer around the corner and the end of the year slowly looming it is time to begin thinking about corporate events. Team building, year-end functions and Christmas parties, is just some of the things your company must start planning. We have compiled a list of top trends in corporate events to help you and your company ensures that your event is one to remember! Event location has taken on new meaning, as more and more event planners incorporate cultural aspects of their destination into attendees’ experience. The days of hosting an event in a conference center is also long gong! Change it up. Parks, lakes, zoo’s, sport stadiums and museums (anywhere you can pitch a tent) make for fantastic corporate event venues! With technological advances and people attending conferences with multiple wireless devices, access to reliable Wi-Fi have become a must! The best venues offer movable partitions, furniture, and planters that offer flexibility for impromptu brainstorming or team meetings. Meeting planners are increasingly using mobile apps to monitor RSVPs and check-in. It is also important to give your event a Twitter and Facebook handle. 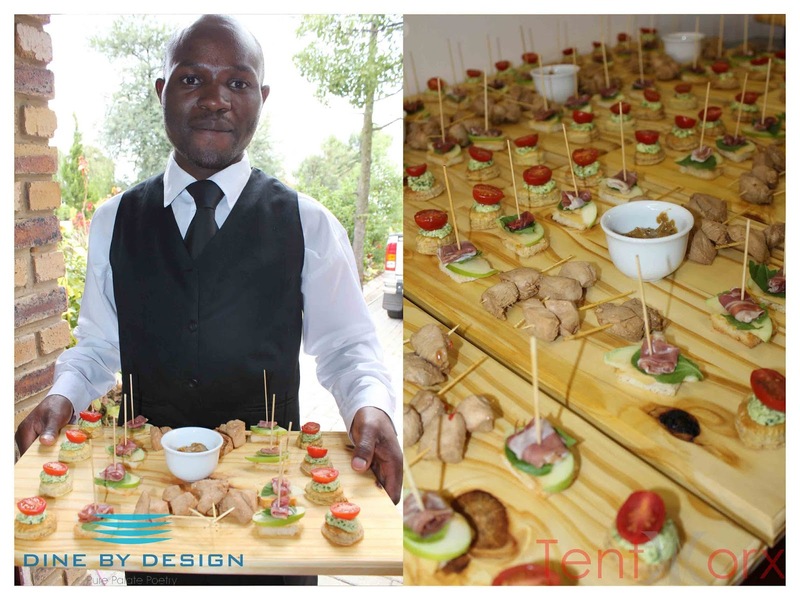 When it comes to throwing an event, the event catering is one of the aspects guests will remember and talk about well after the party is over. So stop serving boring buffet dinners! In recent years, food trends have become more focused on locally sourced ingredients including vegetables, dairy products and herbs and spices. Gourmet snacks like mini burgers, pitas, wraps and tacos are some of your options. Also provide unique beverage choices like craft beer, juice bars and flavored water. 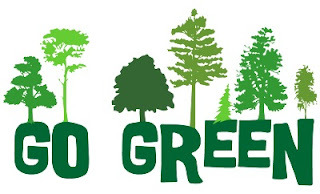 The availability of technology options of distilled water versus bottled or even green décor is one of the trends to consider when planning your event! Team building continues to be a strong industry trend, and activities that include unique ways to motivate, inspire, and build camaraderie with colleagues are growing. Go river rafting, take a sushi class or learn how to make your own beer with your colleagues! 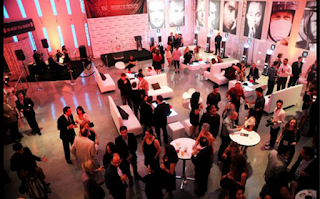 Make your event unique, so attendees want to keep coming back year after year, nothing says “we don’t care about our employees” like the same year end function or Christmas party year after year after year! 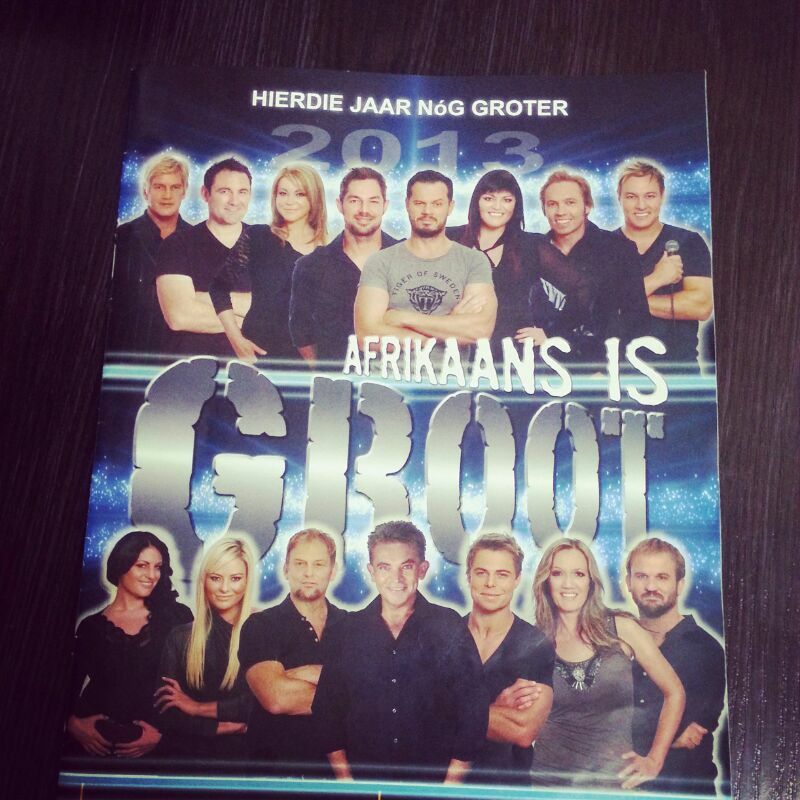 Once again the Tentworx made sure that all the artist of Afrikaans is Groot had a very comfortable dressing room and VIP lounge. We extended the existing dressing room with a 9m x 12m Free form tent, making sure that all the artist could make themselves comfortable before every performance. 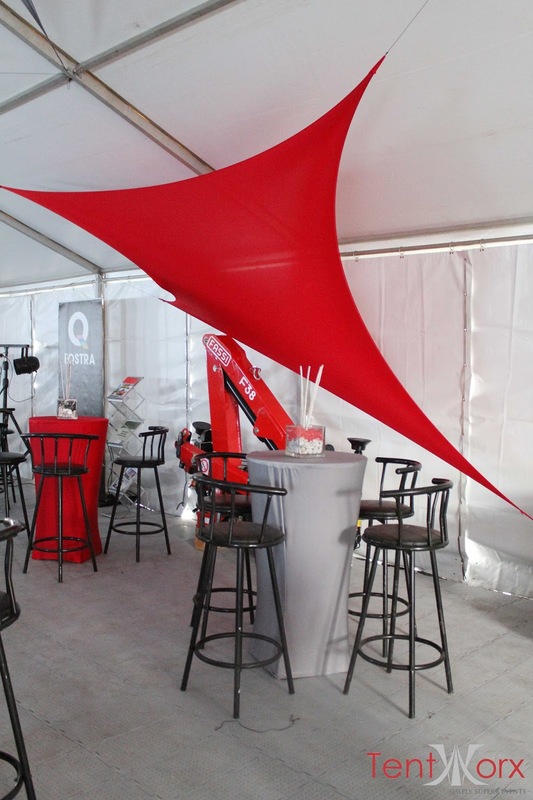 The Tentworx team also erected a 12m x 15m Free form tent at the entrance for Land Rover, which was a sponsor of the event. Land Rover exhibited two vehicles inside this free form tent and surely made a statement at the entrance of the Moreletta Auditorium in Pretoria over the past two weeks. 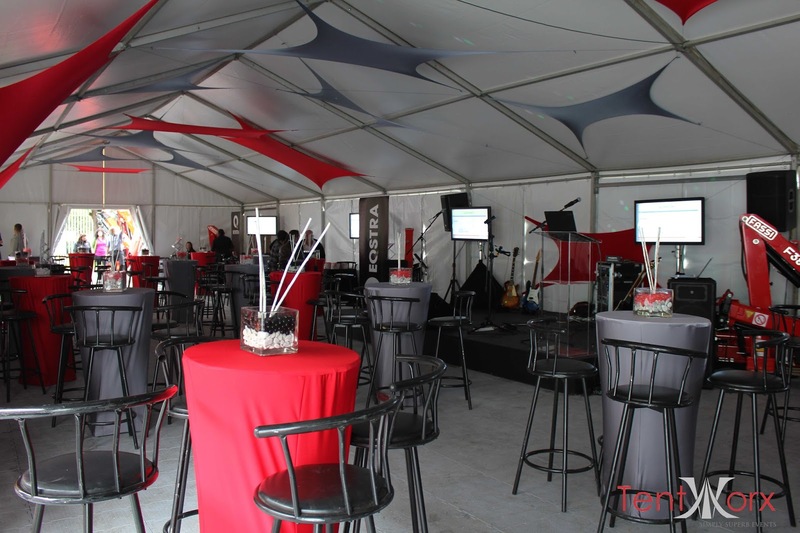 Visit our website at www.tentworx.co.za and see how we can help you make your next event, big or small, Simply superb!! 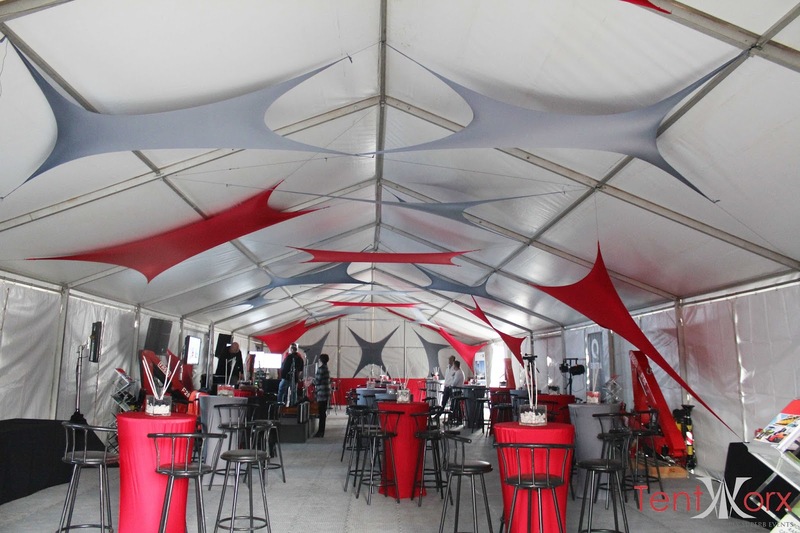 Tentworx - Simply Superb Events! Without a doubt you contact the Tentworx team!! 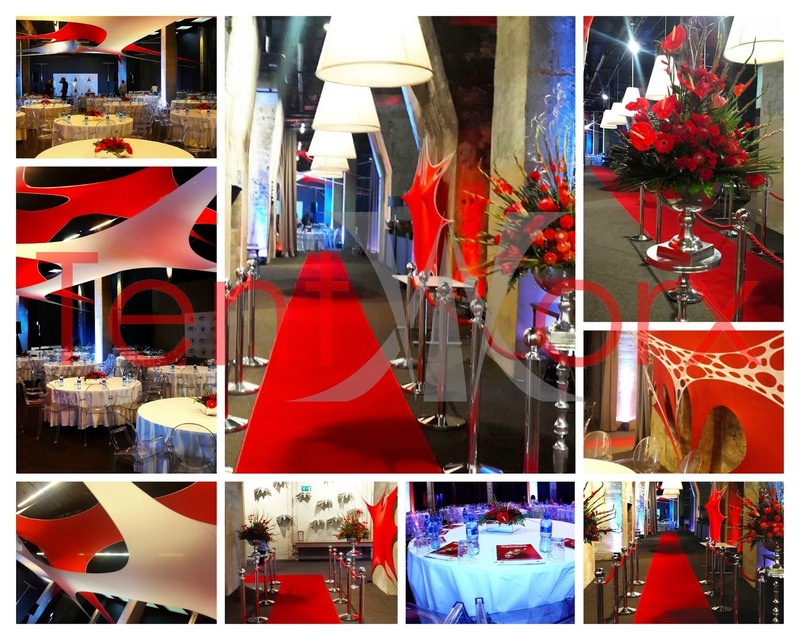 Most companies have set corporate colours that can be used to help choose the theme of your event. A Cocktail set-up is one of the best ways to get your clients and staff to mingle and this is where your sales team can network with prospective clients. When organising a corporate event one should always try and use alternative decor items before using flowers. Flowers can easily make your event look like a wedding. For a cocktail set-up it is advisable to have waiters roaming around not only for drinks but to serve canapes. Draping inside your marquee will surely create a great atmosphere but for this launch we had to create an industrial feel. Stretch panels come in different colours and is a great alternative and will transform your tent into something spectacular. Tentworx : Dramatic year-end function. Are you organising a year-end function for your company? Then Tentworx is surely the perfect company to contact for all your function hire needs! The client's request was to tranform their earthy office complex and give it a dramatic feel. That is why we used black and purple as our main colours. We used a chino Bedouin tent to still keep the feel of the building. 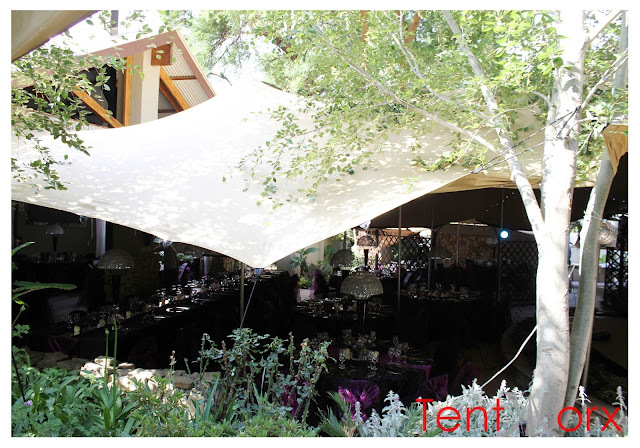 A bedouin tent is the most practical option if you need to extend your existing venue for the event. They can easily be attached to your building amd will not only give you a bigger venue, but it will surely give your event that ''WOW" factor. 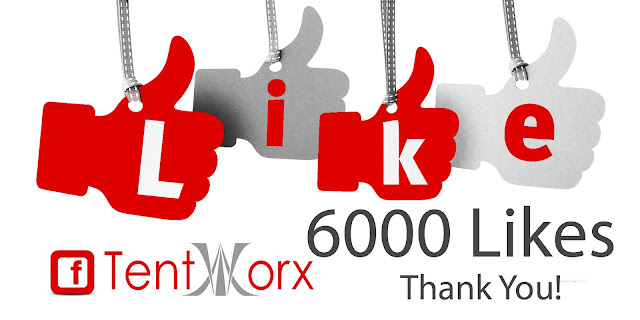 The Tentworx team would like to thank all our supporters for helping us reach 6000 likes on facebook. The Tentworx team keeps up with the tecnology trend of the world and our newest addition will surely help organise your event quicker. With our new MOBI site you can reach us anywhere at anytime, making your fuction hire problems something from the past. 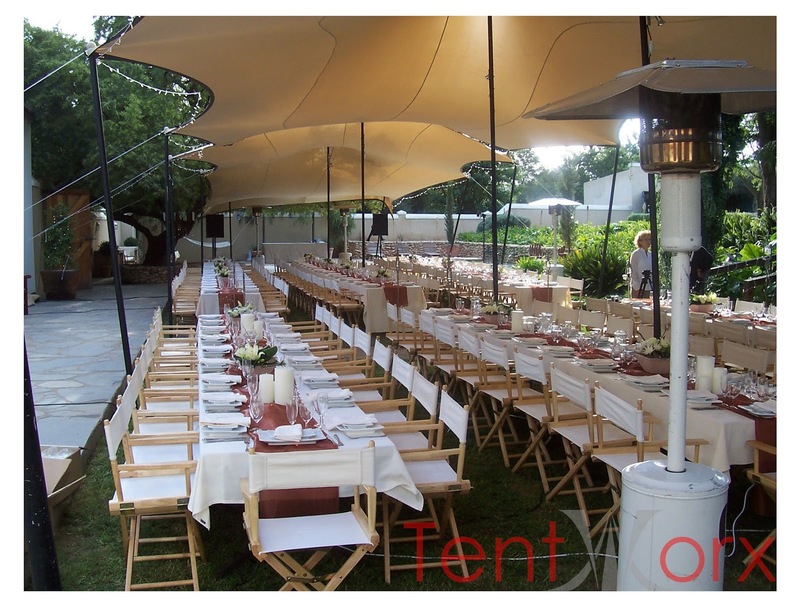 Tentworx can help you with all your Tent hire needs as well as all function equipment hire needs. Visit our brand new MOBI site for more details. 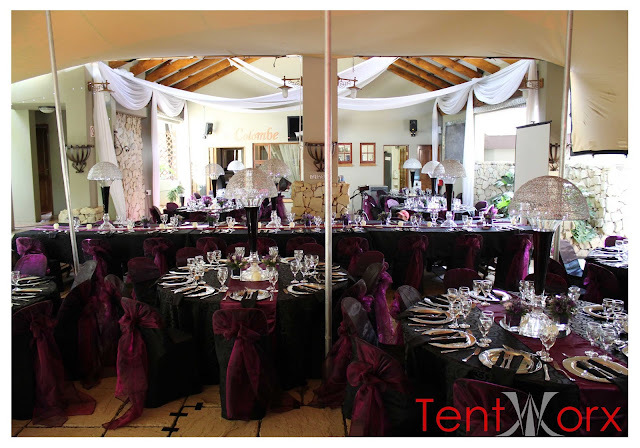 Tentworx is your first choice in marquee and function hiring and our promise to you is to provide you with the most memorable event of your life. Choosing the correct function hire company from which to hire catering equipment, cutlery and crockery, centre-pieces, glassware, marquees, tables chairs and linen is just as important as choosing the perfect wedding dress. Our experienced consultancy is based in Gauteng and will provide you with contemporary and elegant function hire, event management and function design countrywide. The Tentworx team brings a fresh perspective to function hire, design, planning, and management of your special event, merged with traditional etiquette and planning. Our experience lies in full wedding and event management, function hire and project management, which provides Tentworx with the passion, focus and experience necessary to manage complex events as well as those with an international flavour. Our in-house warehouse and function rental division stocks breathtakingly beautiful pieces that you can choose from, and we will take time and effort in setting up mock tables for our clients from which they can choose their best options. The Tentworx team will work with you to get a real sense of your ideas, style, personality and inspirations to transform your vision into reality and ensure that your event reflects your personality and be the most memorable event ever. Tentworx has earned its solid reputation from organising outstanding and beautiful events delivered with true professionalism and a creative flair.